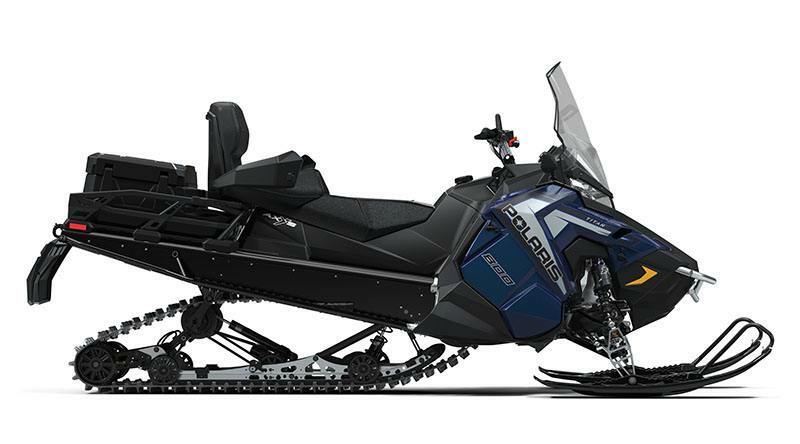 for snowmobile riders looking for the true do-it-all sled - plus the "Proven Polaris® Benchmark" of the 800 Cleanfire® H.O. engine. 20 X 155 X 1.55 COBRA TRACK: The proven, versatile Cobra track provides excellent off-trail flotation and aggressive on-trail traction. The strong, stiff lugs won't fold over like some deep snow tracks' softer, more pliant lugs. LOCK & RIDE® VERSA STORAGE CARGO BOX AND RACK: Lock & Ride® Versa Storage Cargo Box and Rack come standard on the TITAN® Adventure and keep cargo both secure and protected. Engineered for easy quick and easy mounting. Additional storage solutions are available for every type of cargo you need to carry. LOCK & RIDE® VERSA TOURING PASSENGER SEAT: The Lock & Ride® Versa Touring Passenger Seat comes standard on the TITAN® Adventure. Passenger Footrests and Hand warmers add maximum comfort. AXYS® EXTRA TALL AND WIDE 24" WINDSHIELD: Designed for extended wind protection for enhanced rider comfort. 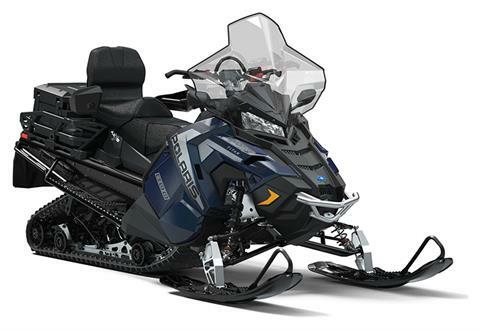 POLARIS® INTERACTIVE DIGITAL DISPLAY: This exclusive and industry-leading full-color display provides important information and capabilities to the rider such as: sled performance, Bluetooth™, GPS mapping, Clock, and LH Control. This gauge comes as an option on some models and is also available as an accessory.